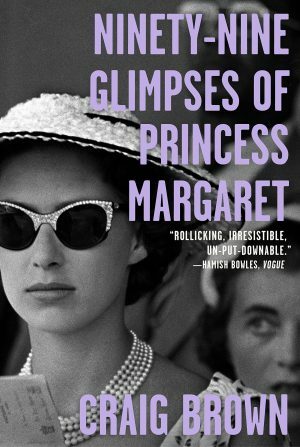 An inventive fascinating read: Ninety-Nine Glimpses of Princess Margaret. Over the years, I had heard about Princess Margaret, Queen Elisabeth’s younger sister. A failed romance with a Group Captain Peter Townsend and a subsequent marriage to Anthony Armstrong-Jones were in the picture, but I really never knew much about the princess personally. I now know Princess Margaret was once a fun-loving beauty; she was also a spoiled royal whose life, in the end, was seldom envied. I learned all this from a favorite book of the holiday season, an unusual biography called “Ninety-Nine Glimpses of Princess Margaret” by Craig Brown. The book calls on friends, spouses, lovers and acquaintances of Princess Margaret to tell their stories of encounters with the princess. Everything from her kindnesses and descriptions of her off-putting royal requests to nasty notes from an unhappy husband are part of the story. Because the book is divided into 99 separate stories, one can read for a while, get busy with other things and then return to subsequent chapters without the feeling that something has been missed. The book is published by Farrar, Straus and Giroux and is available on Amazon.com for $17.83. New Year’s Eve visitors to the renovated Stirling Club were greeted at the top of the stairway by these lady violinists. New Year’s Eve fun in Las Vegas can be had at many price points and in many locations. 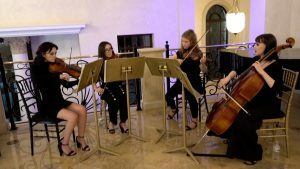 The good news is that many Las Vegas musicians and entertainers had work that night. The bad news was that for Las Vegas, the air was nippy. I spent part of New Year’s Eve 2018 at the renovated Stirling Club, the private club that is part of Turnberry Place, the apartment/condo complex across from the Westgate Las Vegas. 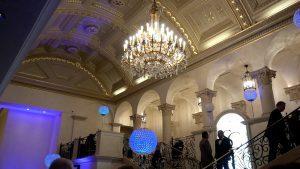 I bought a hefty $150 ticket to the club’s New Year’s Eve bash because I was curious. The $150 was in turn donated to a local charity. 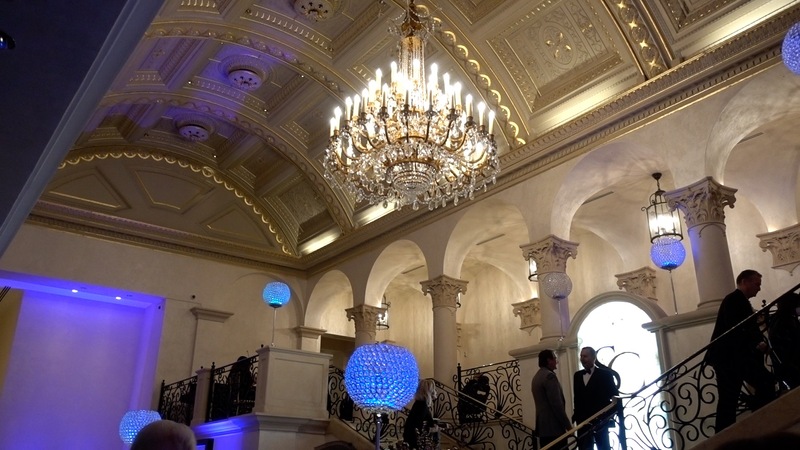 The two-story Stirling Club Lobby features a massive chandelier. 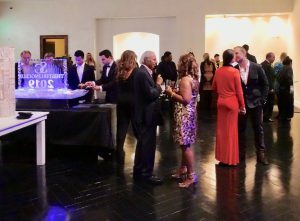 The Stirling Club dining and lounge areas looked great, and kudos to the New Year’s Eve organizers for not being stingy with the passed hors d’oeuvres and drinks. Singer Ronnie Rose was entertaining in the Lounge when I arrived, and he sounded great when we could hear him over the noise of conversation. For this non-party girl, the noise was a bit off-putting and though I was able to meet up with friends, talk was difficult amid the noise, and I left rather early, sadly missing the Kelly-Clinton-organized entertainment in the main dining room. I went home to avoid the crowds AND get a good night’s sleep before hosting a New Year’s Day lunch that was far quieter and great fun. Some 600 people participated in New Year’s Eve at the Stirling Club. This is just part of the crowd at the north end of the large dining room surrounding a buffet featuring fresh crab legs. Two days later, I was driving south on Las Vegas Boulevard in the left-hand lane when I had to shift lanes. A back-up of cars waiting to enter the parking area near the Welcome to Las Vegas sign extended well into the roadway, I had never seen such a crowd there. Apparently the Las Vegas New Year’s visitors all wanted a souvenir photo at the same time and were prepared to wait. A surprising scene. I heard a couple remarks last Wednesday that I thought I would repeat. One man who this past year had a heart incident was smiling and said, “Well at least the date on the tombstone will have to be changed from 2018 to 2019, and we’ll go for 2020!” Another man said he has traveled the world and always makes a point of seeing local entertainment in those countries. “You know “ he said, “nowhere is the entertainment is as good as in Las Vegas.” I was glad to hear that. 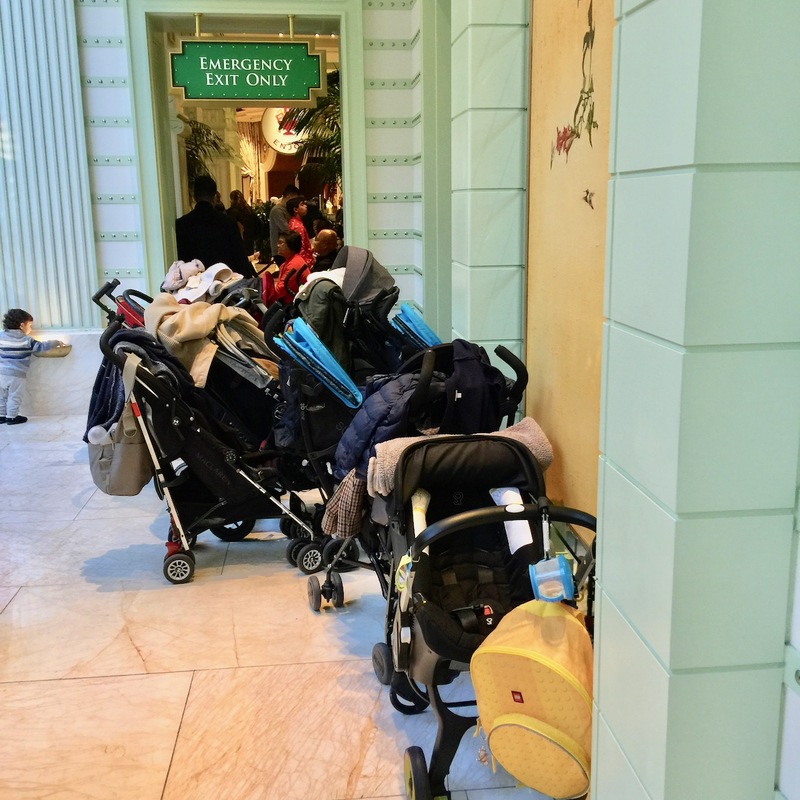 Strollers stored at the Wynn Buffet. Once a week a friend and I go to the Wynn Las Vegas for a bit of gambling and (as a result of our losses) a free lunch at the Wynn Buffet. The Wynn does not claim to be a family-friendly resort and has posted signs discouraging baby strollers, though Security does not seem to seriously enforce that request. Look what we saw at the buffet last Monday, a lineup of baby carriages that would bring smiles to all rule-breakers. And finally, if a private club is intriguing, here are the Stirling Club prices for non-Turnberry residents. Early signers may find the initiation fee is waived. This membership category entitles members to full access to all areas of the club. Stirling Elite also includes tennis, pickleball, outdoor pool and poolside bar and grill, fitness center and movement studio classes, exclusive discounts on spa services, cabana rentals, stirling market, juice bar, Starbucks, advanced ticket purchasing for special events, waived rental fees for meeting or function spaces and Club Corp & Signature Gold benefits ($1600 value). Elite members will receive a 20% discount on spa services. Guest passes are $75. Fee will be waived with a minimum spend of $225 for spa services. Members receive 10 complimentary guest passes (max 3 visits per individual). Tennis lessons are an additional fee. Initiation Fee $5000, monthly dues $435 per month. 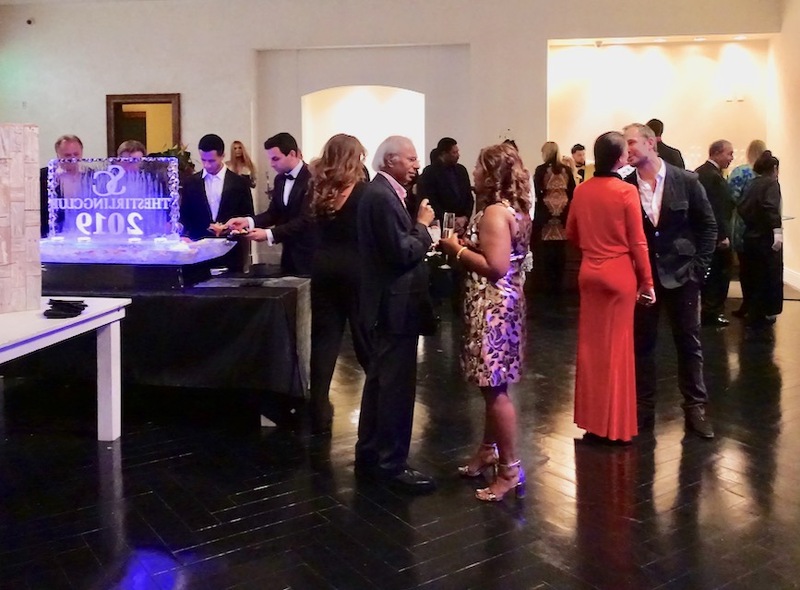 Access to all indoor dining areas, lounges and full access to the social event calendar. Stirling Premier also includes access to the spa, stirling market, juice bar, Starbucks and Club Corp. Member will have access to recreational amenities for $50 per day. Spa discount does not apply with this membership. Initiation fee $2500, monthly dues $250 per month. I loved being your guest at the original Stirling Club, but I don’t see a membership in my future! Pricey! Glad that it’s making a return though! Thanks for the insight!